With that firm belief in her product coupled with a creative approach to its presentation, Saha opened her business in 2002. Without any formal training in business or in running a restaurant, Saha learned â€œon the job,â€ knowing full well that failure was just not an option for a newly arrived immigrant. Word spread about the fresh and authentic fare and soon her location had long lines of customers waiting to eat her food. 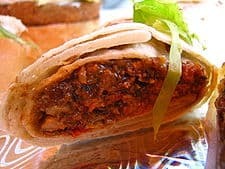 Saha was the first restaurateur to officially bring kati rolls to the US with the flagship Greenwich Village location, facing the dual challenge of introducing customers to this Indian food category and growing a dynamic, high quality business in the highly competitive New York City market. 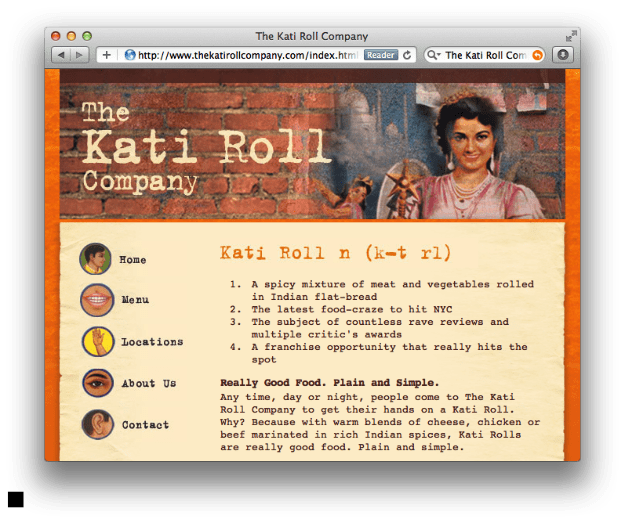 Soon, kati rolls were showing up on the menus of Indian restaurants throughout the country. A second and larger midtown location of The Kati Roll Company followed in 2005, a London location opened in 2007 and a fourth location just launched in March 2012 on Manhattanâ€™s east side. Today, all locations still serve the same basic menu, and the lines of loyal patrons have become an accepted part of the TKRC experience. Next articleWow! A Real Undersea Restaurant!